– GB’s Dina Asher-Smith speaking after winning gold in the European Championships 100m about moving ahead to the 200m and 4×100. Shelby Houlihan Distance star with Blood Disorder? How can I learn to throw really fast/hard punches without a gym? Why do we put up with yearly shoe updates? Do you stop your watch at traffic lights? USA 10k Champ Lopez Lomong Wins Sir Walter Miler In 3:53 As 13 Break 4:00, Charlene Lipsey Beats Sara Vaughn Props to Charlie Marquardt going sub-4 for the 1st time with a 3:55.97. 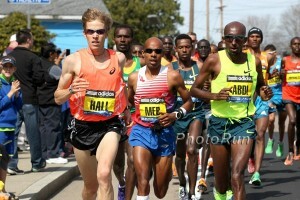 Everyone who finished on the men’s side broke 4:00. Reigning Champions Dafne Schippers And Dina Asher-Smith To Clash Across Three Events At Euro Champs The two sprint stars will face each other over 100m, 200m and the 4 x 100. Men’s Sprinting Events Set To Sizzle In Berlin The four sub-10 second European men (led by GB’s Zharnel Hughes) will clash in the 100m while Bruno Hortelano will try to defend his title in the 200m against world champion Ramil Guliyev. 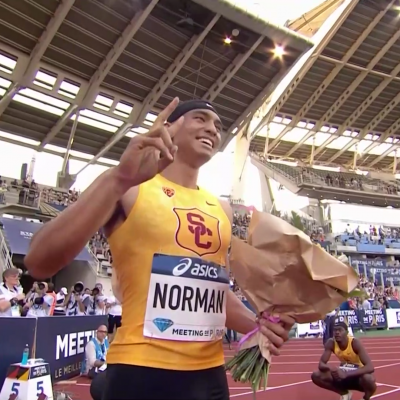 NCAA 400m Champ Michael Norman Signs With Nike Norman will remain in LA and continue training with his USC coaches. August 18: Noah Lyles Vs. Christian Coleman Showdown Set For Birmingham Diamond League South Africa’s Akani Simbine and Yohan Blake are also in the race. Sianni Wynn Wins USATF Athlete Of The Week After Taking Three Sprint Titles At USATF Junior Olympics Wynn won the 100, 200 and 400, setting a 9-10 age group record in the 400 (58.97) to win by almost 4 seconds. 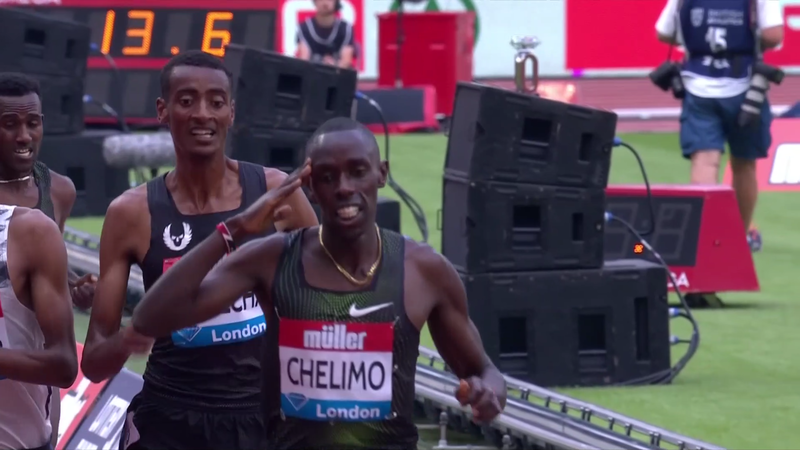 IAAF Day 3 Recap: Caster Semenya Clocks 49.96, Nijel Amos Defeats Emmanuel Korir In the men’s steeple, World/Olympic champ Conseslus Kipruto kicked Past Soufiane El Bakkali to win in 8:26. Kenya’s Winny Chebet won a tactical 1,500 in 4:14. Hellen Obiri Wins 5,000 Title At African Champs By Nearly 10 Seconds In 15:47 Senbere Teferi was second in 15:56. NY Times: “How College Sports Killed Summer Vacation” Interesting read on how increased demands from college sports are leading to more and more athletes taking summer classes/internships so they can stay on campus and train. 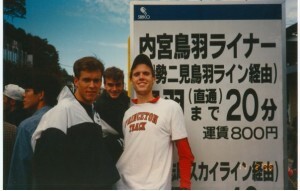 Distance running has always been a year-round sport, but it looks like other NCAA sports are becoming that too. *MB: Brodey Hasty to Northern Arizona! El Paso Times: 98-Year-Old Secretary Katie Jensen Has Been Heart Of UTEP Track Team For 30 Years Jensen retired this week after being an important part of the program since 1985. Ben Flanagan And Michael Norman Are 2018 DI Men’s Scholar Track Athletes Of The Year Mostafa Hassan (shot put) and Luke Vaughn (discus) were the field athletes of the year. It’s Official: Eugene Announced As The Hosts Of The 2020 Olympic Trials The Trials return to Eugene for the fourth consecutive time, but it will the first time for the new Hayward Field stadium. Register-Guard: Eugene To Plant More Than 2,000 Sequoias For 2021 World Championships The goal is to minimize pollution with “air-cleaning trees” that will cancel the effects of increased carbon emissions from the increased number of people. 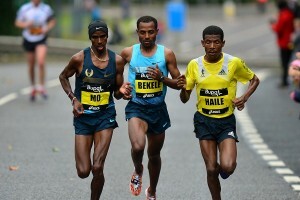 Ethiopia’s Jemal Yimer Mekonnen Cruises To 10,000m Crown As African Championships Begin In Asaba, Nigeria Yimer ran 29:08.01 to win in humid conditions with countryman Andamlak Belihu Berta 2nd (29:11.09) and Uganda’s Timothy Toroitich 3rd (29:11.87). Blessing Okagbare Disappoints Home Fans By Pulling Out Of African Champs 100 And 200 She is dealing with an injury, but still might compete in the LJ. Kenyan Sprinter Boniface Mweresa Dropped From African Champs Squad After Failing A Drug Test Mweresa won 400m silver at the 2015 African Games. The Start Of The African T&F Championships Has Been Delayed After Hundreds Of Athletes Were Left Stranded At An Airport For Three Days Among those athletes stranded were Caster Semenya and world LJ champ Luvo Manyonga. What Motivates Someone To Start A Pro Track Meet? 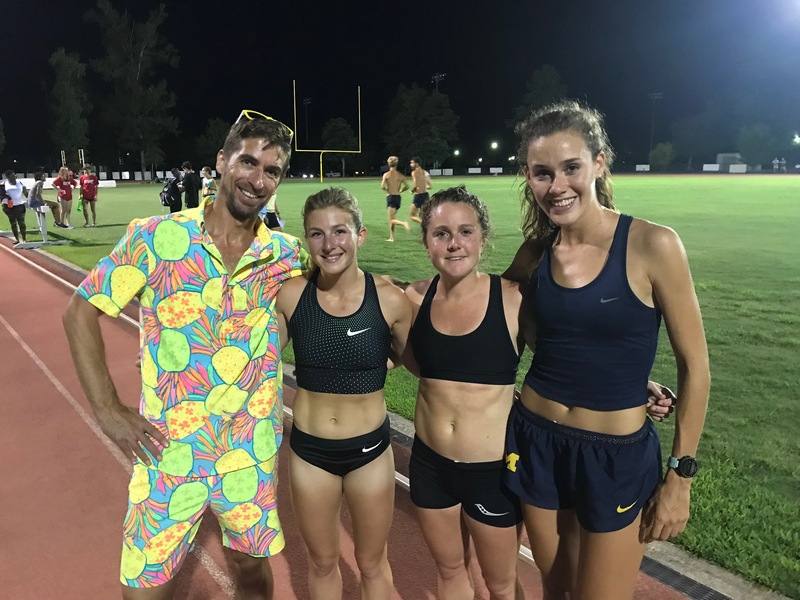 LRC Q&A With Dave Milner, AKA The Guy Who Spent Thousands Out Of His Own Pocket To Put On A Pro Track Meet In South Carolina Would you spend thousands of dollars of your own modest income to put on a pro track meet? 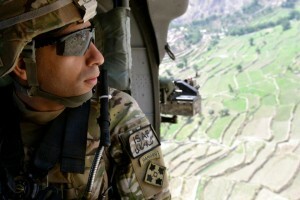 This guy would and did. Find out why. Dina Asher-Smith (10.85) And Zharnel Hughes (9.95) Win 100m Gold Hughes broke the meet record while Asher-Smith, who trounced Dafne Schippers, broke her own British record. Video of run here. Recommended Read: GB Sprinter Jodie Williams Battles Back From “Rock Bottom” Ahead Of Euro Champs Williams’ story is important for young stars to hear because they need to know that the success they have as a junior isn’t guaranteed to continue and just one injury can set your career back years. T&F News: 5 European Championships Events Worth Watching Closely Mondo Duplantis vs. Renaud Lavillenie in the PV and the “Ingebrigtsen show” in the 1,500 and 5,000. 400 Hurdler Thomas Barr The Big Irish Hope At Euro Champs Never before has an Irish male sprinter won a medal at the European Championships and Barr is ranked 5th. Russia’s Former Olympic HJ Champ Anna Chicherova Barred From Competing Internationally Chicherova, who is coming off a 2-year doping ban, was denied neutral athlete status by the IAAF. Russian 110 Hurdler Sergey Shubenkov: “Winning Medals Is More Important Than Breaking Records” Shubenkov moved within .01 of Colin Jackson‘s 25-year-old European record with 12.95 at Monaco last month. 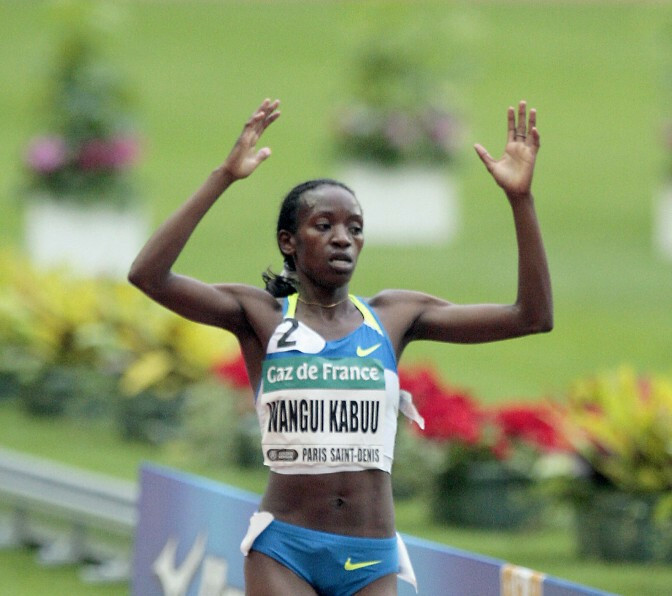 2:19 Kenyan Marathoner Lucy Kabuu Fails Drug Test The former Olympic 10,000 5th placer and #13 all-time marathoner has been provisionally suspended after testing positive for morphine, which is a banned narcotic. GB Javelin Champ Joanna Blair Gets 4-Year Doping Ban The 32-year-old tested positive for a steroid in an out-of-competition test last year. European Athletics – Ingebrigtsens Set To Dominate The 1,500m And 5,000m In Berlin? Pretty Cool: Illuminated Projection Of Former Olympic Discus Champ Robert Harting To Adorn Berlin Skyscraper During Euro Champs The light show is a tribute to Harting’s career as he is retiring at the end of this season. Pole Vault WR Holder Renaud Lavillenie Bidding For A Return To The Top Of The Podium In Berlin Lavillenie is the world leader at 5.95m, but famous young star Mondo Duplantis has cleared 5.93m. Olympic Champ Ekaterini Stefanidi Firing On All Cylinders Again Ahead Of European Title Defence Stefanidi had a difficult start to the year due to injury, but has steadily improved and is back “in a good place” for Berlin. British Born Sprinter Leon Reid Cleared By IAAF To Represent Ireland At Euro Champs Reid had been left in between countries when the IAAF froze transfer of allegiances for the last two years. Q&A With British 100m Champ Sprinter Reece Prescod Prescod talks about using a block-start app and drones in practice and says his favorite athlete to watch is javelin thrower Thomas Rohler. Italian Discus Thrower Daisy Osakue Will Miss European Champs After Egg Throwing Attack Osakue was hit in the eye by an egg thrown from a car in what she alleges was a racist attack. Official European Championships App Available To Download The free app features daily news, results, athlete bios and pictures. Woman Shatters Half Marathon Triple-Stroller Pushing Record By 18 Minutes We sometimes roll our eyes at these “world records” but a mom running 13 miles at 6:48 pace pushing three kids in a stroller is pretty impressive. Stray Dog Joins In And Runs Entire Australian Half Marathon Finishing time of two-and-a-half hours. US Hammer Record Holder Deanna Price Credits Losing 40 Pounds Between The 2017 And 2018 Seasons As Key To Her Success This Year Price says she wants to share a message about “body positivity” with younger athletes. She’s been anywhere between 145 and 265 pounds, but feels she throws her best at her current 225. Italian Discus Thrower Daisy Osakue Leaves Hospital After Being Hit In The Eye By An Egg Thrown From A Car Osakue fears the attack was racially motivated and says she was in “an area used by prostitutes” and was mistaken for one of them. LRC Shelby Houlihan Loves Her Cat, Ce’Aira Brown Keeps PRing, Doping OK In Pro Sports But Not In the Olympics? Plus more national 800 records and some slow distance times at the Irish Champs. Colombia’s Olympic Triple Jump Champ Catherine Ibarguen Delights Home Crowd While Jamaica Enjoys Magic Monday At CAC Games Ibarguen complete the first half of her jump double, wining the LJ with 6.83m leap while Jamaica had a meet record from O’Dayne Richards in the shot put and 100m wins from Nesta Carter (10.07) and Jonielle Smith (11.04). Somehow Carter was the first Jamaican man to win the 100m in the 94-year history of the meet. Team USATF Women Claim Ninth Consecutive Victory At Thorpe Cup Multi-Event Meet On the men’s side, the US had the individual winner (Steve Bastien), but Germany won the team competition. LRC IAAF Unfreezes Transfer Of Allegiance Process, Wants To Fix Problem Of Identical Kits, Russia Still Banned, & Budapest 2023? We’ve got great news coming out of the IAAF Council meeting in Argentina. 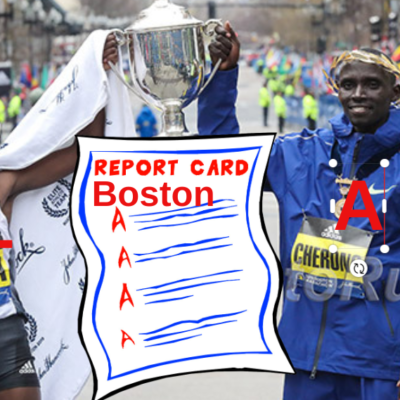 The IAAF agrees with us – runners should not wear identical uniforms in DL meets and Haron Lagat – a US citizen who has lived here for 16 years – should be allowed to represent Team USA soon. 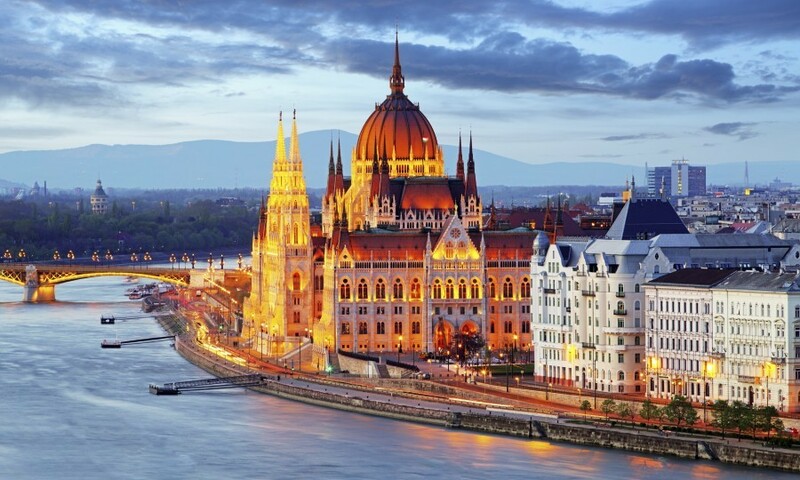 Plus it looks like the 2023 Worlds are going to Budapest. New IAAF Transfer Of Allegiance Rules In Effect A minimum 3-year waiting period, athletes can only transfer once and not before they are 20 years old. WR Holder Beatrice Chepkoech Leads Kenyan Sweep With 8:59.88 To Win African Champs Steeplechase World champion Elijah Manangoi outkicked his training partner Timothy Cheruiyot by .73 in 3:35.20. Kenya’s World U20 champ Edward Zakayo took the men’s 5,000 in 13:48. The Kenyan men also set a meet record to dominate the 4 x 400 in 3:00.92. Caster Semenya Completes The 400/800 Double With Strong 1:56.06 Victory Olympic silver medalist Francine Niyonsaba was second in 1:57.97. This was Semenya’s 27th consecutive 800m win (she last lost in 2015). Kenya Dominates Women’s African Champs 10,000 With A 1-2 Showing By Stacy Ndiwa (31:31) And Alice Aprot (31:36) Ethiopian Gete Alemayehu was a distant 3rd in 32:10. Kenya Edges Out South Africa To Finish Top Of African Champs Medal Tables That’s the headline anyway, but South Africa had way more medals overall (30 to 19), but Kenya had two more golds. Report Says Nigeria To Bid For The 2025 World Championships The Nigerian federation president said they should be in strong contention after hosting African Champs which finished yesterday in Asaba. 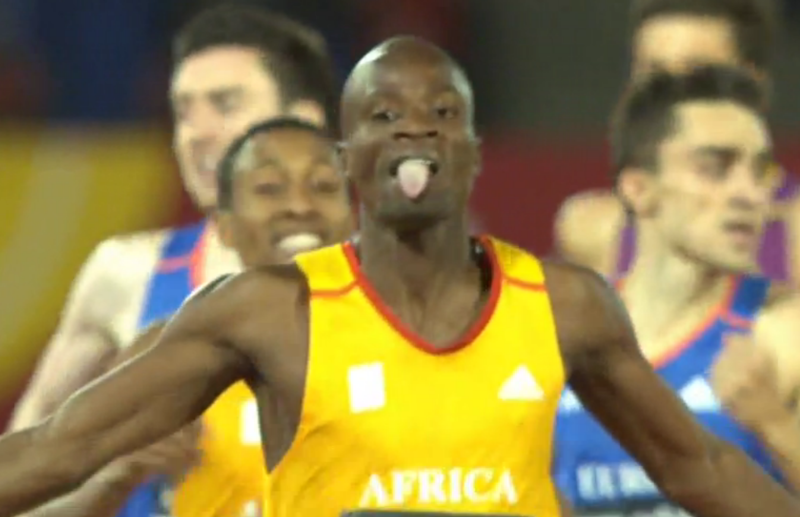 IAAF: Top Ten Memorable Moments From African Champs Half of them were distance events. 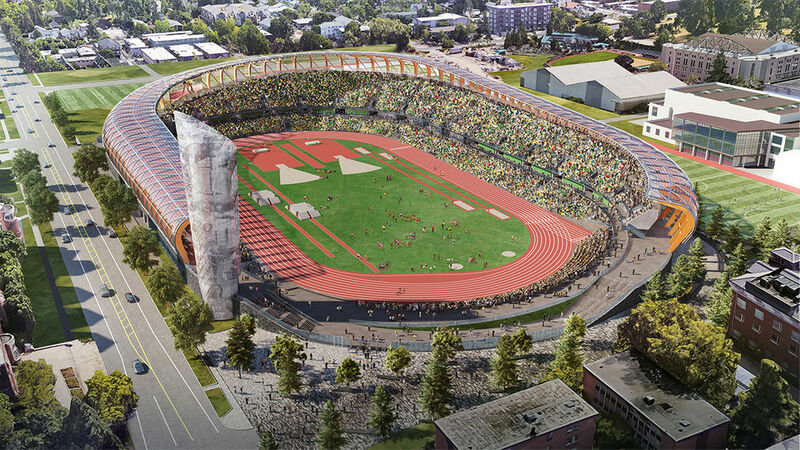 Register-Guard: Eugene Businesses Buzzing Over News Of 2020 Olympic Trials Coming To Hayward Field Business owners are excited about the influx of people/money as previous Trials have brought in more than $37 million to the local economy. Tents, Cooling Fans And Folding Umbrellas Are Among Proposals Being Considered By Tokyo 2020 To Deal With Heatstroke Concerns 96 people died from heatstroke in Tokyo last month with temperatures going over 104 degrees F (40 degrees C). 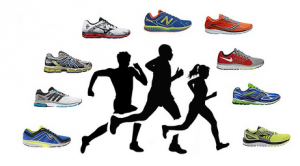 Did You Know That Shelby Houlihan’s Mom Was A Professional Marathoner And Ran For Asics? Houlihan says some of her earliest memories were driving around handing water to her mom on training runs. 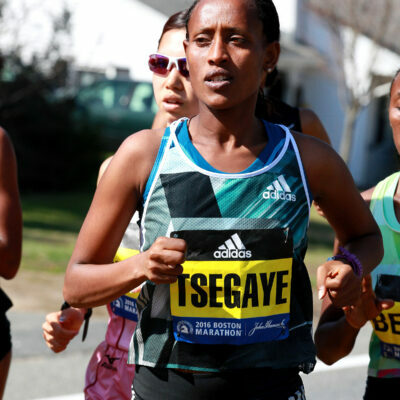 October 21: Ethiopia’s Marta Megra Will Defend Her Title At The Toronto Waterfront Marathon Merga talks about her training situation in Ethiopia where her husband actually works as a pacer for her training group. New Mo Farah “Why I Run” Documentary On YouTube The 11 minute video shows him training in Ethiopia ahead of London 2018. August 19: Des Linden To Serve As Official Starter For The New Balance Falmouth Road Race Afterwards she will run with the masses to check off one of her “bucket list” races. Russian World Indoor Champ Danil Lysenko Suspended Over Whereabouts Violation Lysenko has had his neutral athlete status revoked and will miss Euro Champs. Swiss Sprinter Pascal Mancini Banned From European Championships For “Racist” Posts No mention of what he said, but a Swiss Athletics statement said he made “far-right” and “controversial” Facebook posts. 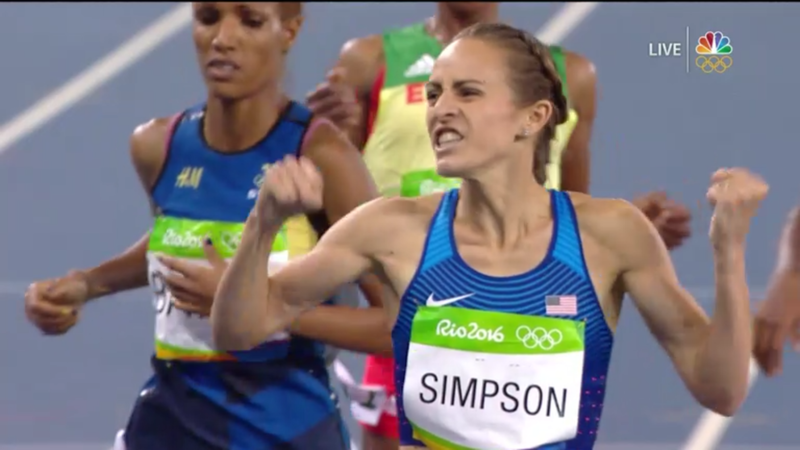 LRC Cancel The Trials: Here Are The U.S. Women’s Distance Runners Who Will Be Going To The 2020 Olympics Who will join Shelby Houlihan and Jenny Simpson on the 1,500 team? Can Shannon Rowbury return from pregnancy to make a 4th Olympic team at age 35? 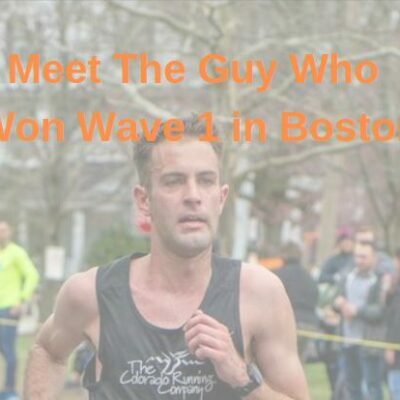 And who the heck is making this marathon team? 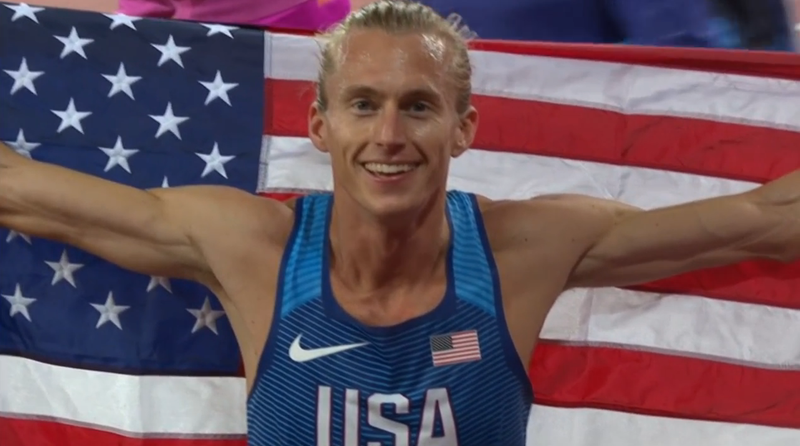 LRC Two Years To Tokyo: We Tell You Which U.S. Men’s Distance Runners Will Be On The 2020 Olympic Team The track and field action at 2020 Tokyo starts in exactly two years – July 31, 2020. We’ve gotten out our crystal ball and we tell you who will be on the US Olympic team. 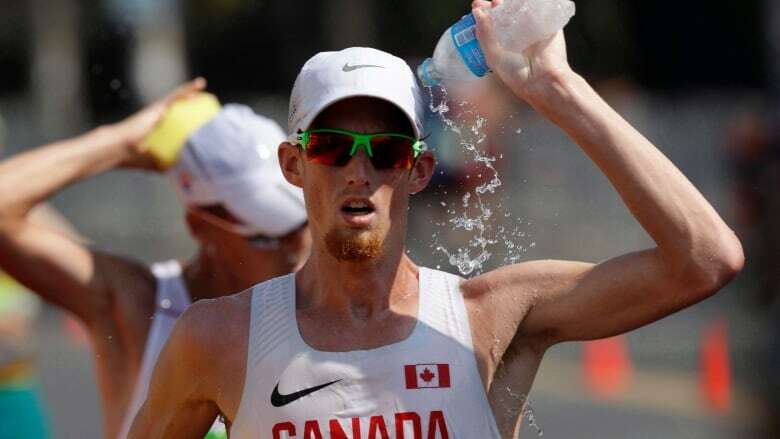 Recommended Read Brett Larner Ran The 2020 Tokyo Marathon Course Exactly 2 Years Before The Race – It Was 88 Degrees (31 C) At The Start It was even worse at the finish – 93.6 – and it was humid as hell (88%). What should be done about it? Larner thinks the race needs to be run at night. Track and Field News‘ 10 Surest Gold Medal Things For Tokyo 2020 2 Years Out American Mondo Duplantis (hey, he is American) leads the list, which we think is crazy. Sydney McLaughlin, Michael Norman and Noah Lyles also make the list. IAAF Publishes Qualification System For Tokyo 2020 Olympics The qualifying window for the marathon and 10k opens January 1, 2019. 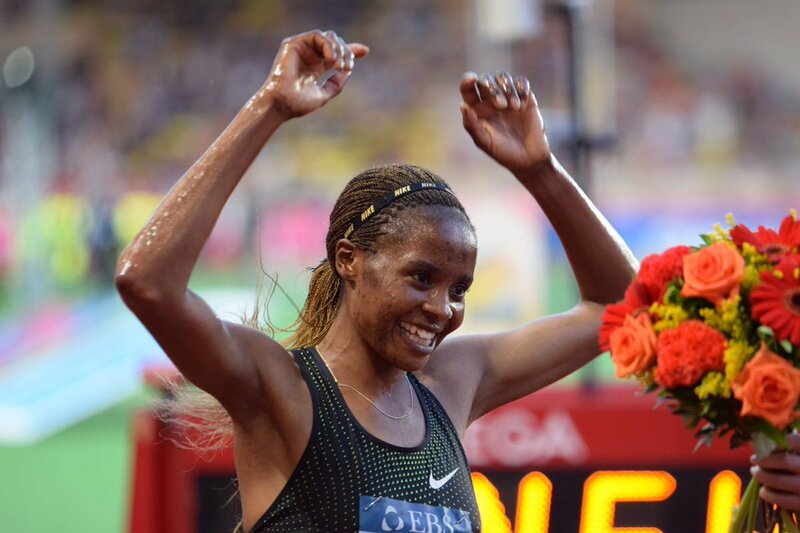 August 18: Caster Semenya Vs. Sifan Hassan Heads Strong 1,500m Field For Birmingham Diamond League Ethiopia’s Gudaf Tsegay (sub-2, sub-4, and sub-15 PRs for 800 to 5k), Kenya’s Winny Chebet, and GB’s Laura Weightman are also in the field. 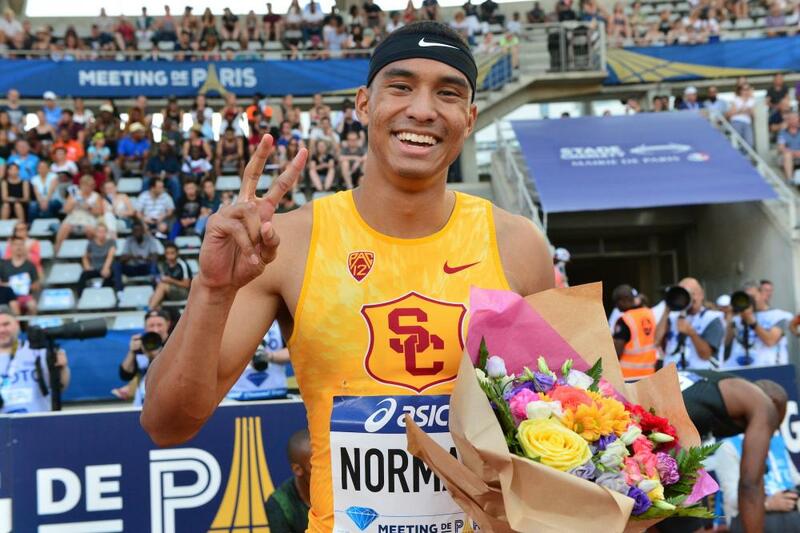 August 10: Team USATF Roster Set For 2018 NACAC Championships In Toronto There are plenty of big names competing, including Sandi Morris/Keni Harrison and distance runners Lopez Lomong, Hassan Mead, Ajee Wilson and Kate Grace. August 7: Mouth-Watering Javelin Clash Will Be A Highlight At Euro Champs The home crowd will have plenty of excitement with Germany’s Olympic champ Thomas Rohler, world champ Johannes Vetter and German champ Andreas Hoffman going head-to-head. 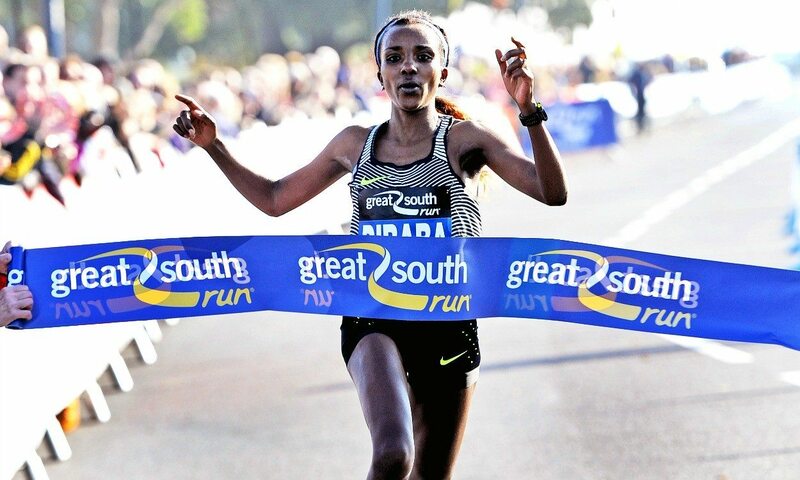 September: Tirunesh Dibaba Leads Field Of Five Sub-2:20 Women For The 2018 Berlin Marathon Dibaba will be up against former two-time Berlin winner Gladys Cherono, former world champion Edna Kiplagat and Ethiopians Yebrugal Melese (2:19:36) and Aselefech Mergia (2:19:31). 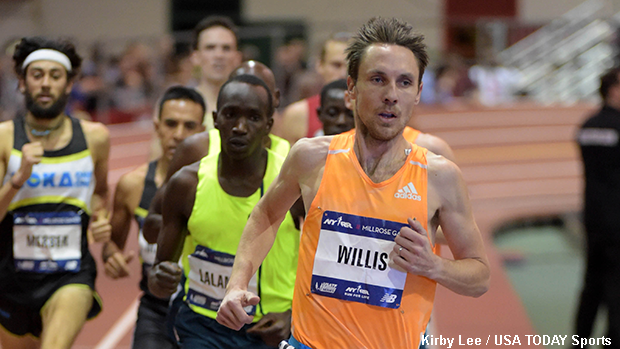 Friday: Final Fields Set For Sir Walter Miler With Craig Engels, Lopez Lomong, Ben Blankenship, Sean McGorty, Sam Prakel And Hassan Mead Leading The Way The women’s race has Nicole Sifuentes, Charlene Lipsey, Amanda Eccleston, Sarah Brown, and Stephanie Garcia. 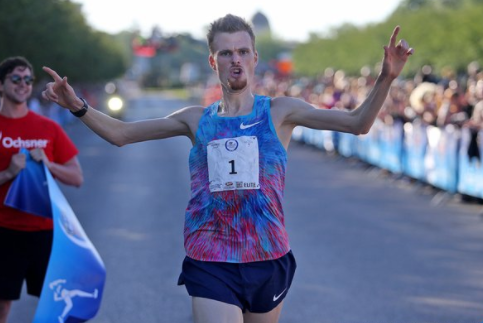 Saturday: Ben True And Molly Huddle Lead Deep Fields For The TD Beach To Beacon 10k The men’s field includes Jake Robertson, Shadrack Kipchirchir, Stephan Sambu, Callum Hawkins and Lopez Lomong while Huddle will face Sandrafelis Chebet Tuei (30:57 PR), Emily Sisson, Ababel Yeshaneh (30:35 PR) and Gwen Jorgensen. Time To Throw Away The Stopwatch And Pick Up Your Phone? LRC Willamette Valley Meets Silicon Valley: Three Running “Startups” Are Trying To Revolutionize The Stopwatch Coaches for years have struggled to time multiple athletes and workouts groups at once. Three different apps have recently come out that hope to solve the problem.